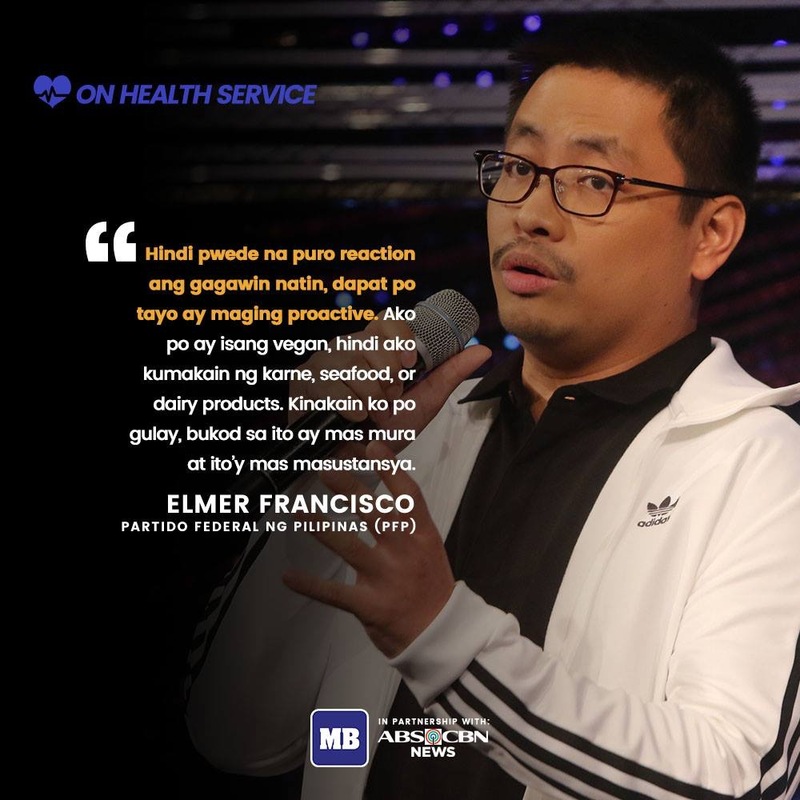 During the ABS-CBN’s Harapan Senatorial Debate, in response to Alvin Elchico’s question, Senatorial Candidate Elmer Francisco revealed that he is VEGAN or in a plant-based diet and proposed that all Filipinos must consider going VEGAN because it’s more affordable and more nutritious than meat, poultry and dairy foods. This was in response to the question of someone from the audience regarding healthcare wherein his child dies because of illness while hospitals were not able to do anything about it because they had not enough money. Elmer Francisco said that lawmakers must be pro-active rather than reactive. They must have vision and foresight wherein they must be able to make laws that would prevent problems from happening even before they happen and harm the people. One of his proposals in relation to the question about healthcare is to promote a plant-based diet wherein the poorest of the poor could save money from food because vegetables are much cheaper than meat and they would also be able to avoid steep hospital bills because they would be much healthier. There are numerous studies globally that prove Francisco’s statements. 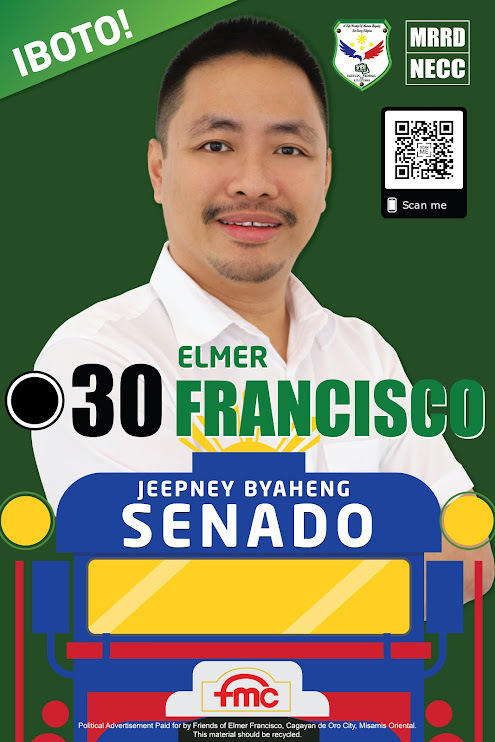 Even Elmer Francisco is a living proof that he has better health and list 30 lbs since being VEGAN for 3 years already. Elmer Francisco’s statement that was shown in national television including special Filipinos channels worldwide caught the eyes of international media and VEGANS worldwide. It has been said that 2019 is the year of the VEGANS. VEGANISM is much broader than food. It encompasses animal rights, environmental protection, reduction of single-use plastics and harmful chemicals in daily products and much more.